With a return to greater emphasis on handwriting in primary schools, could a special pen or pencil help your child master the art of neat writing? Handwriting tutor Michelle van Rooyen explains what handwriting pencils and pens are available. Mastering good handwriting is a gradual process for every child, but for some, learning to write quickly, legibly and comfortably can be more of a challenge. If your child struggles with their handwriting, a special ergonomic pen or pencil could help to make it easier. 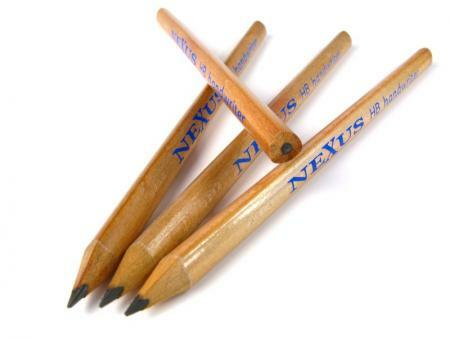 Children should be provided with a variety of writing implements, and most will then independently choose the tool that best suits their needs. Designed for children aged six and over, this handwriting pen has indentations for correct finger placement, and comes in right- and left-handed versions. It has a non-slip grip zone, and refillable, erasable blue ink which glides across the page for smooth, neat writing without blotting or scratching. An ergonomic version of the famous Berol handwriting pen, with a triangular barrel that provides three points of contact to help children adopt the dynamic tripod grip needed for good handwriting, and to reduce fatigue in handwriting tasks. Recommended for young children and those with physical grip difficulties. Available in right- and left-handed versions, these HB pencils have a triangular design and a non-slip grip to encourage a good hand position. The staggered grips along the length of the barrel means that children can continue to hold the pencil correctly, even when it’s sharpened. Colouring pencils are also available. These triangular non-smudge pens have three surfaces to encourage a dynamic tripod grip. The fineliner type nib provides some sensory feedback through the texture of the nib on the paper. They’re useful for little hands, or older children who have difficulties with their pen grip. Mechanical pencils which train children to press more lightly on the page, which leads to more comfortable, fast and fluent writing. They’re ideal for children who press too hard, denting the paper or complaining of an aching hand. The triangular shape promotes an efficient dynamic tripod grasp. This range is fantastic for providing high frequency vibration whilst writing, which encourages better attention and focus, especially for children who have difficulty knowing where their hands are moving in space. An ergonomic pencil with a triangular shape to encourage a dynamic tripod grip, and a sprung tip that acts as a shock absorber, so the hand is relaxed and comfortable. It’s especially designed for children’s hands and fingers. 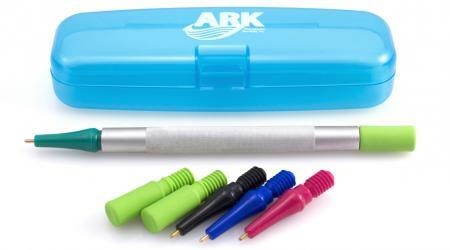 This pen is shaped to fit comfortably in the hand, with a soft gripping zone that promotes relaxed handwriting. 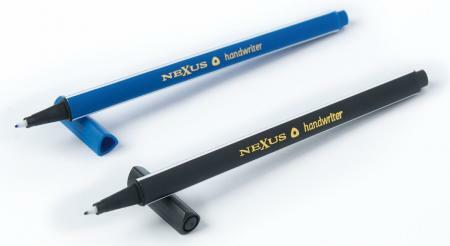 One pen is suitable for both right- and left-handers, and the blue ink is erasable. Michelle van Rooyen is a handwriting tutor in the London and Surrey areas. An occupational therapist with over 20 years' experience, she's a member of the National Handwriting Association.